The first article in our maize matters series for 2018 offers some tips on drilling date, while an expert points to the trend towards early-maturing varieties and their potential benefits. Yield and quality above average, is how Graham Ragg of Mole Valley Farmers describes the 2017 maize-growing season. With crops filling the barn, he is hopeful stocks will carry over to next winter and allow the target seven to eight weeks to be met, before clamps from the forthcoming season are opened. Last year’s comparatively favourable weather was one reason why maize performed well, but sowing dates also played a role, he says. Mr Ragg says: “Historically, some farmers have drilled at the end of March/ early April, but many have learned patience is the key to a successful harvest. It may be tempting to cut back on the maize acreage, given the pleasing results which were generally achieved last year, but he issues a word of warning. Maize growers have access to a wider range of varieties, in terms of maturity class, than ever before, but there has been a marked swing towards early-maturing types, says Neil Matson of ACT. Their popularity has been enhanced by the genetic progress achieved by plant breeding companies and therefore a yield penalty no longer applies to varieties which can be harvested in early season, he says. “The yield sacrifice that has traditionally been associated with earlies has all but been eradicated,” says Mr Matson. 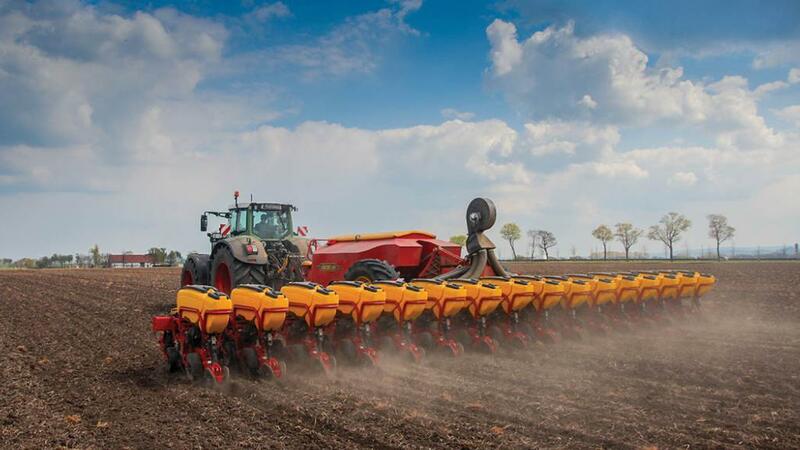 “There is no longer a case for taking a risk and harvesting late in the year, especially on farms in the Midlands and the North, because modern early hybrids will deliver on both yield and quality. Increasing pressure from the environmental regulators is another reason for the burgeoning popularity of early-maturing varieties, he suggests. “There is growing opposition to leaving land bare over the winter,” says Mr Matson. “Late-harvesting may not always allow time for the sowing of grass or any other cover crop, especially given the unpredictable autumn weather that we have experienced over the past few years,” he says. “Delayed harvest will also increase the risk of soil run-off and nitrate losses, as well as potentially leading to land compaction and structural damage. “I expect the regulations will only become more restrictive in the future, so it is important farmers take voluntary action to minimise the risk of practices that may pose a threat to the environment, wherever possible.”. Growers can take advantage of the free, online KWS soil temperature service, to help with decisions on drilling date; particularly if there is a risk of frost, which could compromise emergence. Entering the farm postcode will give the current soil temperature at 10cm, using information taken from local weather stations. The service is located at www.kws-uk.com.